“Plans are worthless, but planning is everything.” – President Dwight D. Eisenhower. If your team is properly trained and faces all customer service challenges efficiently without any confusions and rudeness then your business will boost and the number of loyal customers will increase. However, if there is any room left to confusion, ignorance, fear and mistakes, then your customer service team is not as brilliant and well trained as it should be. The biggest mistake is to answer “I do not know”. 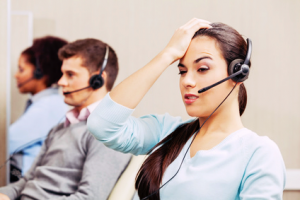 Though your customers may express a sympathy, especially if you are a new customer service team member, they expect another answer and are not interested in hearing about your lack of knowledge. Instead, you can reply “Let me quickly check this” or “Just a moment, let me find this out for you”. Even if you are new and do not have all needed information, your customers would like to know that you are doing your best to give them an answer. Follow up with your customers after the solution has been found and ensure that your customers are satisfied. If you have examples of how to effectively handle customer service emergencies you are welcome to share them with our blog readers. 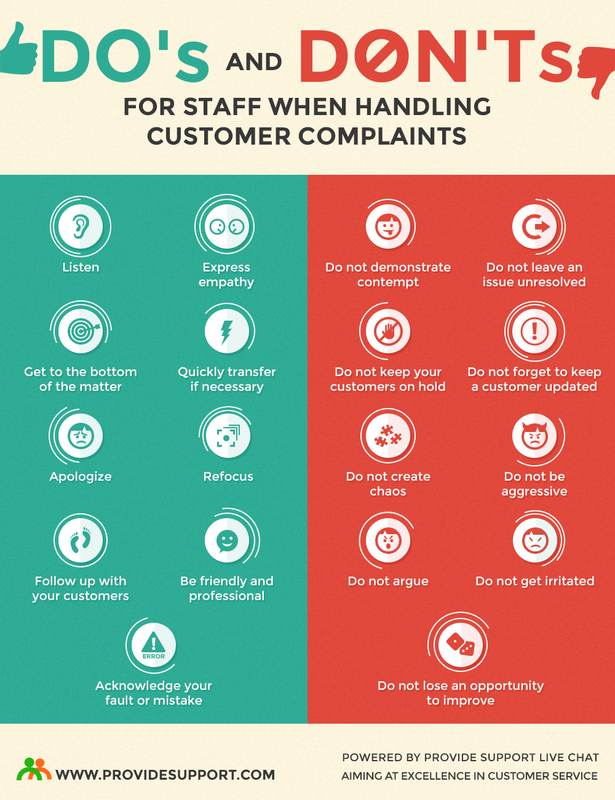 This entry was posted in Articles, Infographics and tagged customer service emergencies. Bookmark the permalink. Thank you, Jerry. I am glad you enjoyed reading my article. Dealing with people is not really a simple task, knowing how to revert situations is a great virtue for those who want to get involved in areas that depend on direct contact with the consumer, learn to deal with situations and make a not a yes, it is really difficult , But it is not impossible, congratulations for the excellent article! Thank you for your comment, Ricardo. You just need to be well-prepared to such situations and never get confused. Olga, very good article, we (costumers) know when the company is good when we have a trouble. Thank you, Carla. I am glad you enjoyed reading our blog. Olga Excellent article, congratulations, I love reading your opinions! Olga you’re awesome, I loved your blog! Olga Excellent article, congratulations. The truth is that it is very difficult to be prepared. I loved your blog! Dealing with people is not really a simple task, but it is not impossible, congratulations for the excellent article! You are right, Dany. It’s a human factor that often has a strong influence on employees’ performance and it is important not to let personal issues impact their work. A well trained and well-prepared team makes all the difference in emergency response, excellent article and thank you for sharing your knowledge with us. I consider it extremely important to prepare and train people working in emergency services. The professionals of this area must be super well prepared and trained to meet any emergency that may come to pass, great article, I really enjoyed it. It’s just a valuable source which should not be neglected. It’s critical for any business to turn a complaint into a positive for the customer and for the company moving forward.”. Im wondering if someday I will be prepared for emergencies… Everybody knows that the theory is very different from the practice.. Anyway, keep this good work and thanks for sharing! I believe that this type of work is one of the most stressful that exists today and also requires a lot of training and preparation time, acting in emergency situations is not easy, very good article. When we work with costumer support it’s primordial that our team have patient to listen for people complains. If not, probably you’re going to have an headache. Being ready for problems are the best way to always solve then without worrying so much. Problems are going to come are we prepared or not, so let’s always try our best to make our business ready for what’s to come! Thank you for your comment. I am glad you found this article useful. Olga parabéns por trazer um conteúdo tão rico em informações tão importantes. Embora nunca estejamos preparados para situações semelhantes, a partir do momento que encontramos orientações como as suas já dá pra gente ter uma certa noção de como agir na hora que se deparar com alguma dessas situações, afinal, trabalhar com pessoas é complicado. Obrigado por compartilhar conosco. great advices, i’m going to preapare my costumer support for that !! Being ready is always important to solve issues a lot faster than normal. Thank you for your comment, Pablo. I am glad you enjoyed reading our blog and totally agree with you that if you prepare to emergencies in customer service, your team will not go crazy while resolving issues and communicating with customers. That’s almost a daily situation for almost every company that runs a website! our clients goes crazy trying to get information! Olga, very good article !! Dealing with people is not easy, but we must adapt to the difficulties we face with them. We need people! Dealing with people is not an easy task, it requires a lot of patience. Olga, very good your article, I learned a lot. Congrats on the job! That’s true. ….Today I saw a box of electricity exploding in Ebony park Midrand. .As it exploded they were massive massive flames of fire .under they were some houses. …By the time I saw some flames. ..I then quickly foned 112 emergency number to report the incident quickly….They transferd me to fire department as I asked but Sizakele the one who was assisting me was very rude. …The lady was talking to me as she was talking to a 2 year kid I was even afraid to talk to her….I thought I was assisting my community by so doing, as we do as we se water spillage, we report it……That lady is not trained properly to do her job…. Thank you for your comment, Zacharia. It’s a terrible experience and unfortunately this happens too often. That’s the reason we should always be ready for costumer issues. Exactly, the best way to respond is to respond to the customer “just a moment, I’ll check”.